Transient Time | What's (in) the Picture? Time seems to stand still in Chester: a view from the walls at the East Gate clock. The only thing that changes are the cars, fashion and shops. The houses do not change in appearance. South of France – Le Midi – It’s time! We visited many places in the UK that made their High Streets ‘pedestrian malls’ for at least part of each week. 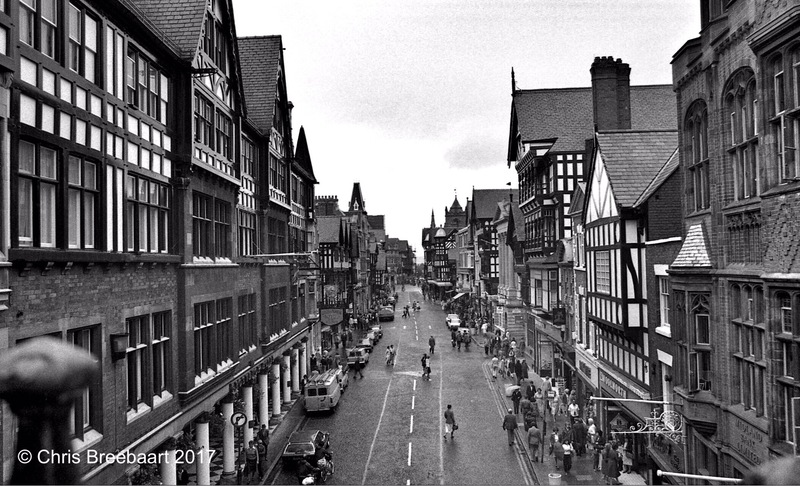 Chester is a really good example of how nice it is to put people before cars.